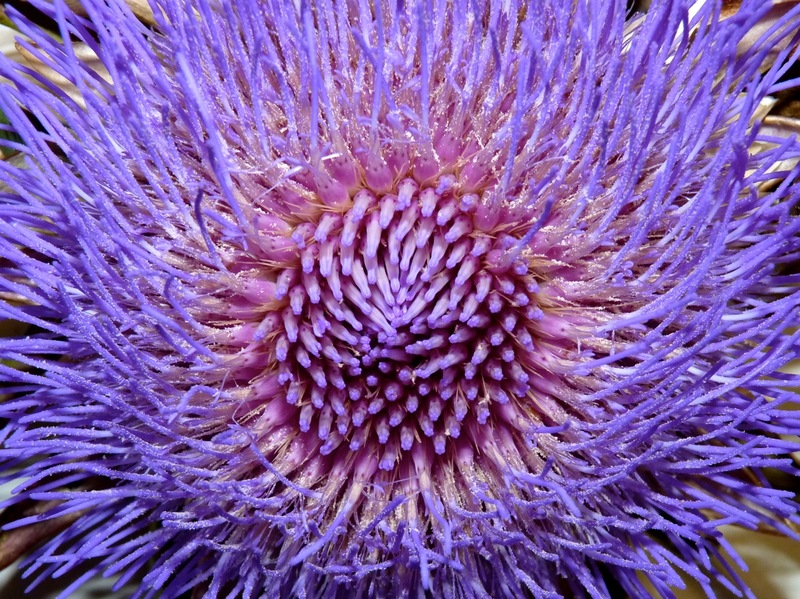 Artichoke flower our pride and joy! In a previous post we wrote about our overwintered artichokes and successful harvests. We left a large choke to flower and Jean English, editor of the MOFGA newspaper, took a picture with her expensive camera. Check it out.